If you've been looking for a Liverpool Snaffle Driving Bit you came to the right place. These Driving Bits happen to be one of our best sellers due to it's impeccable craftsmanship and affordable pricing. This Horse Driving Bit has 2 slots and is a top quality item made by Liverpool. 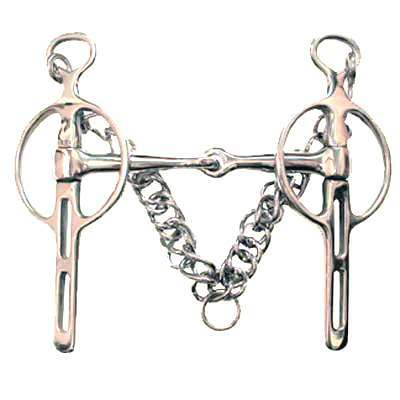 Finding the perfect Horse Driving Bits can be very hectic and time consuming. This is why we strive to offer only exceptional quality products that we believe are made of unsurpassable craftsmanship.